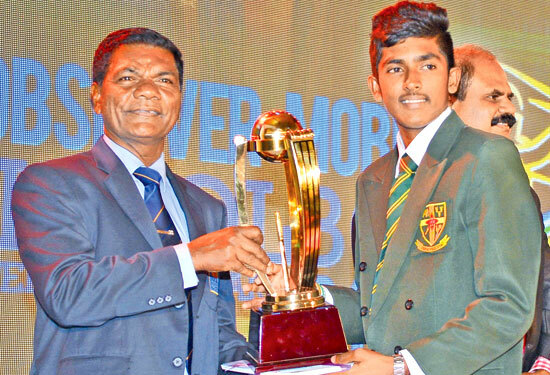 Charith Asalanka of Richmond College Galle, who won the Schoolboy Cricketer of the Year for the second year in succession proudly displays the trophy. 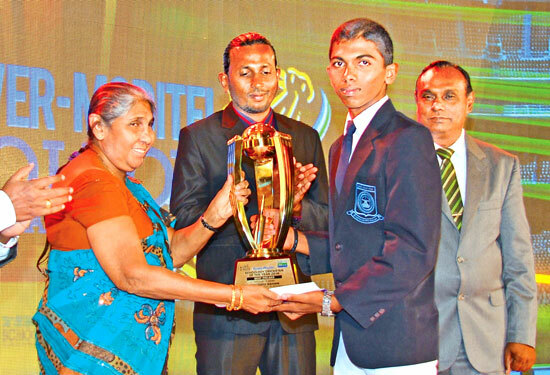 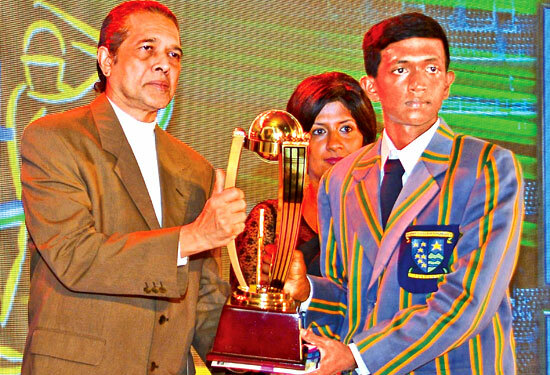 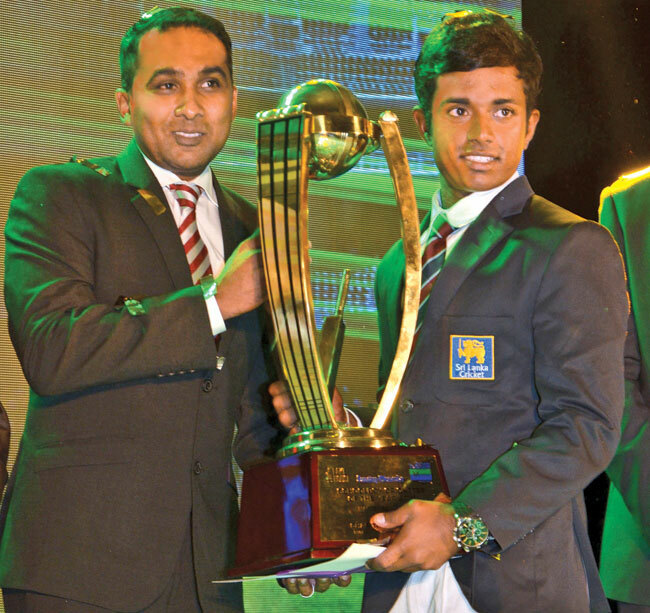 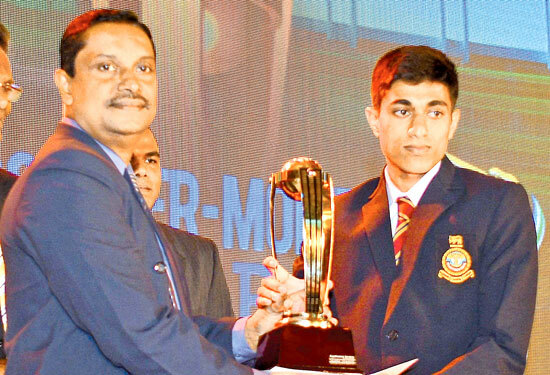 Charith Asalanka of Richmond College Galle, receives the award for the Schoolboy Cricketer of the Year for the second successive year from former Sri Lanka cricket captain and cricketing legend Mahela Jayawardene at the 38th Sunday- Observer- Mobitel Schoolboy Cricketer of the Year awards night held at the Galadari Hotel. 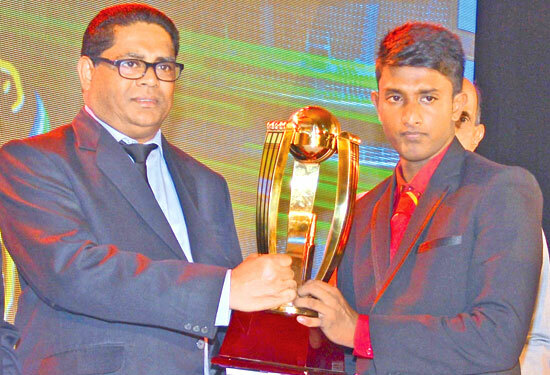 Charith Asalanka receiving his award from Guest of Honour Mahela Jayawardene. 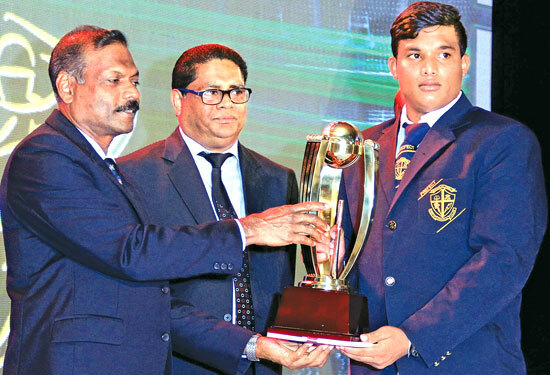 (from left) Sarathchandra de Silva, President (SLSCA), P.G.Kumarasinghe(Chairman, SLT), Kavan Ratnayake (Chairman, ANCL), Abhaya Amaradasa (GM, ANCL) are also in the picture. 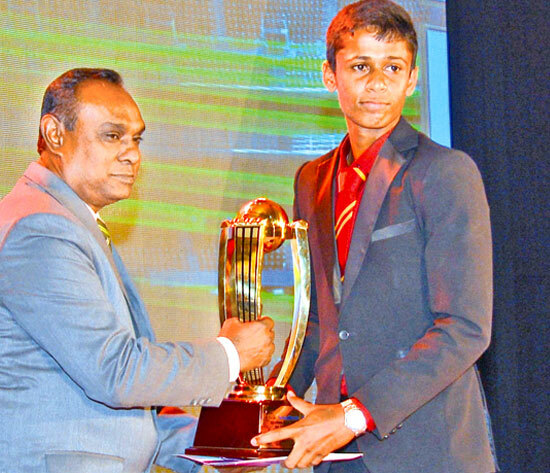 Salinda Ushan Perera (Isipathana College) Most Popular Schoolboy Cricketer Of The Year 2016 receives his award from Chairman Sri Lanka Telecom P.G.kumarasingha. 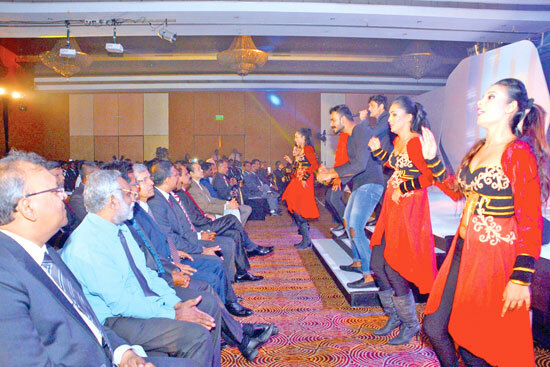 ANCl Chairman Kavan Ratnayake looks on. 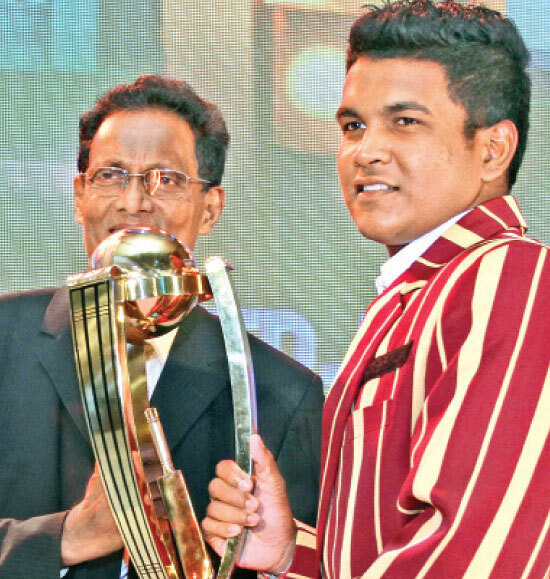 Charith Asalanka of Richmond College, Galle receives the Best Batsman (National) award from ANCL Director Legal Sirimevan Dias. 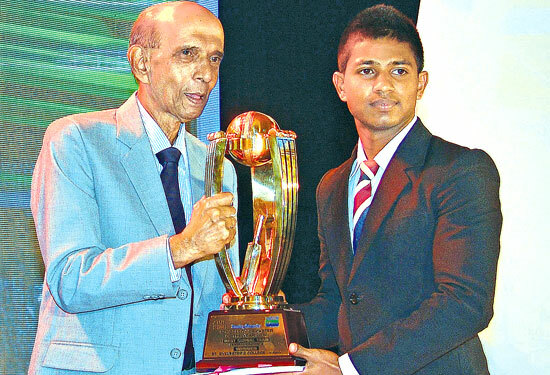 ANCL Secretay Kumudu Gunawardena is partly seen. 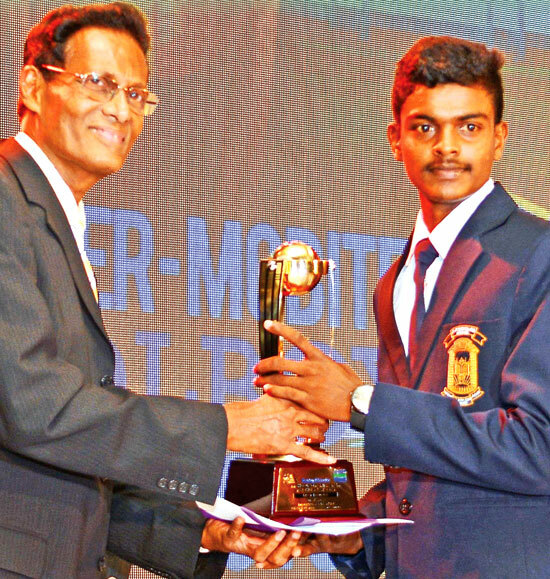 Isipathana College’s Pramod Maduwantha receiving the Division One award for the Schoolboy Cricketer of the Year 2016 from Mobitel (Pvt) Ltd Senior Manager (Marketing) Indika Amarasuriya. 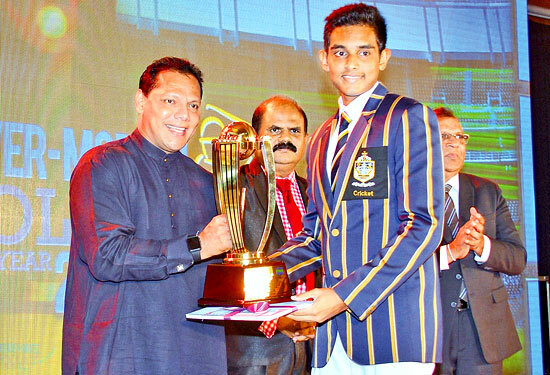 Best school Team WP St.Peter’s College , Colombo - captain Vinu Mohotty receives the trophy from Minister of Sports Dayasiri Jayasekera. 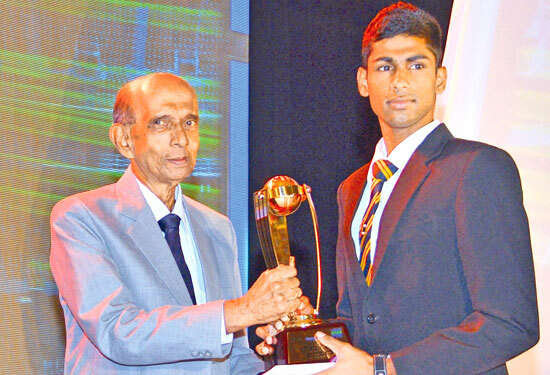 Captain of De La Salle College, Mutwal receiving the trophy for the Most Promising Team of The Year from ANCL Chairman Kavan Ratnayake. 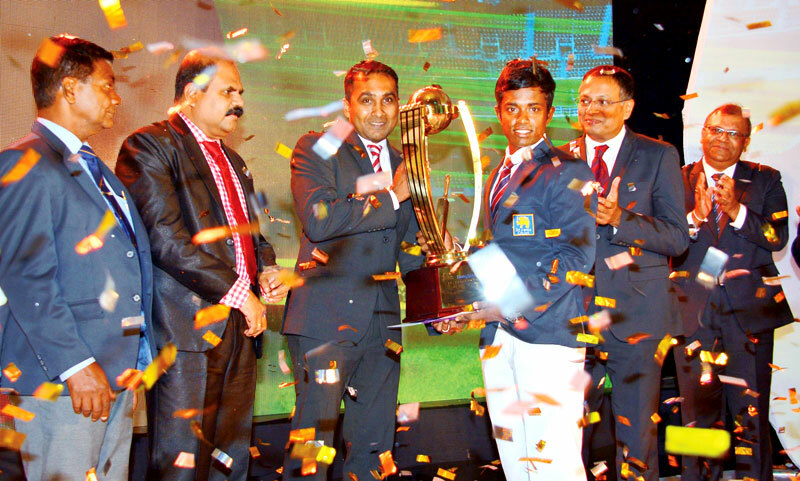 SLSCA President Sarathchandra Silva (Left) and Chairman SLT P.G Kumarasinghe are also in the picture. 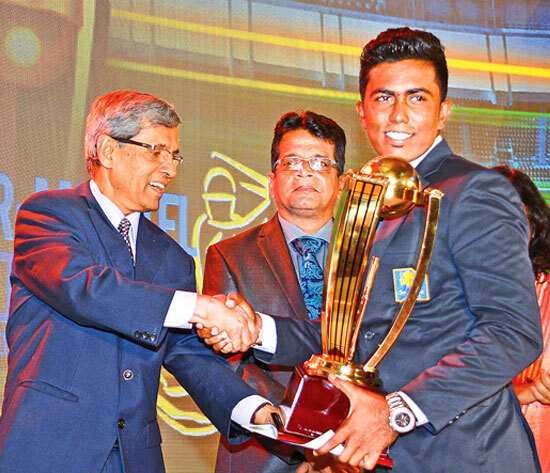 Sammu Ashan of Ananda College Colombo receiving the national award for Best All Rounder from Group Sports Editor of ANCL, Saadi Thawfeeq. 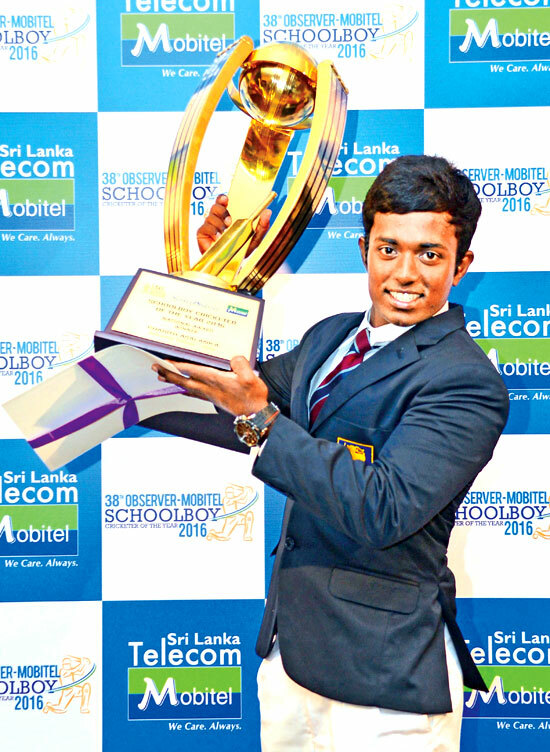 St. Sylvester’s College the Best Team Central Province. 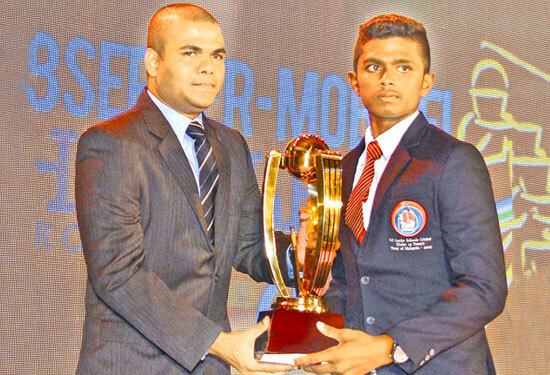 The captain receives the trophy from Deputy Editor Sunday Observer S.Anandakumar. 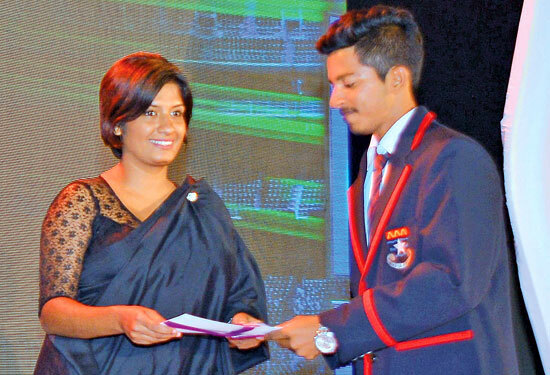 Kavindu Sohan of Sri Devananda College, Ambalangoda receives his award Best Fielder Div two from Pushpa Rowel (Editor Dinamina). 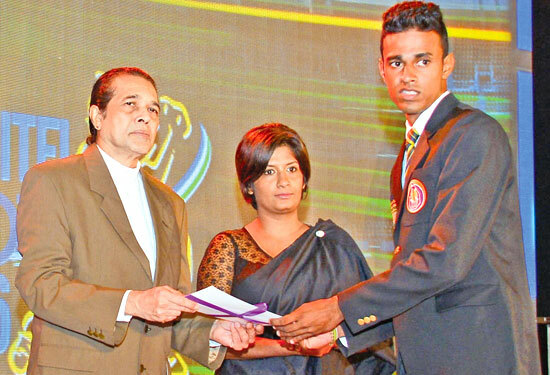 Raveen Yasas of Devapathiraja College, Ratgama receiving his Best All Rounder Div. 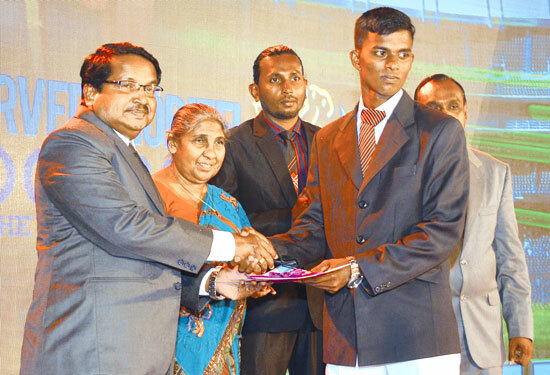 11 award from Asela de Vaas Gunasekera Senior Manager Market Activation SLT- Mobitel.ditor Sunday Observer look on. 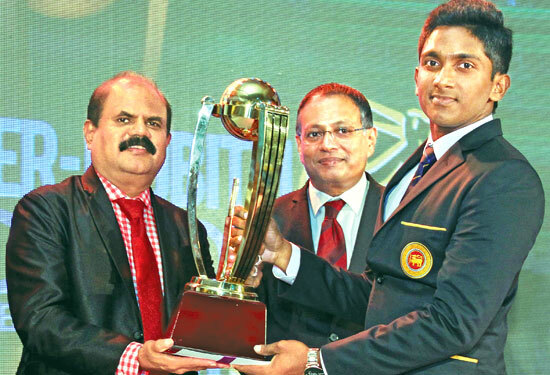 Ramesh Nimantha (St. Servatius College, Matara) receiving his Best Batsman Div., 1 award from Indika Amarasuriya (Senior Manager, Marketing, SLT Mobitel) Chanaka Liyanage(Manager, Channel/Publicity ANCL) looks on. 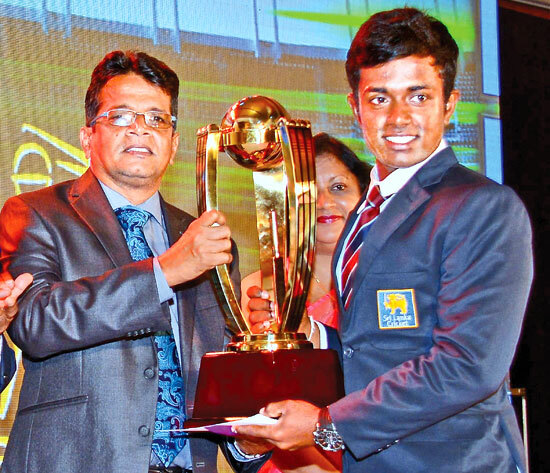 W.A.Fernando of St. Peter’s College, Negombo Best Bowler Division III receives his trophy from ANCL Group Sports Editor Saadi Thawfeeq. 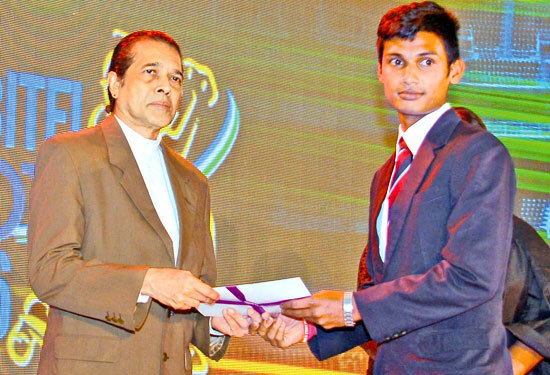 Pathum Nissanka of Isipathana College, receiving his Best Fielder Div .1 award from Deputy GM Administration Subash Karunaratne. 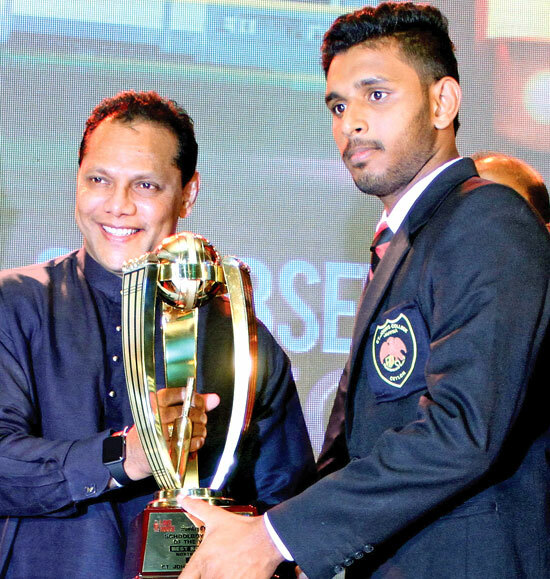 Dilum Sudara of Karandeniya Central receiving his Best Bowler’s award div.11 ( runner-up) from GM Batsman.Com Kumara Gamhewa. 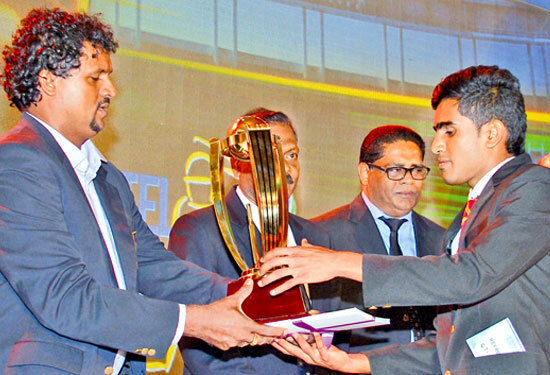 Captain of Bandarawela Central ( Best Team Uva Province) receives the trophy from Chairman of Selectors SLSCA Dilshan de Silva. 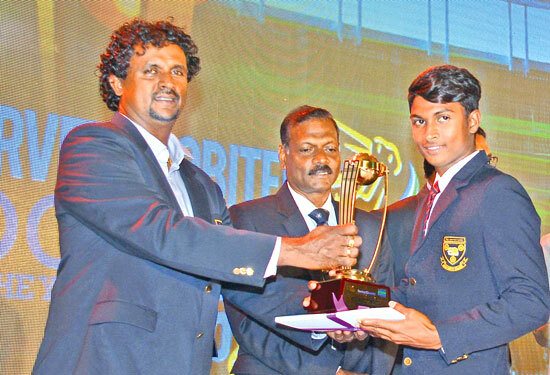 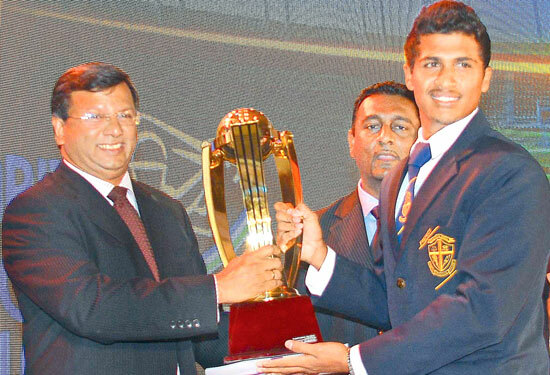 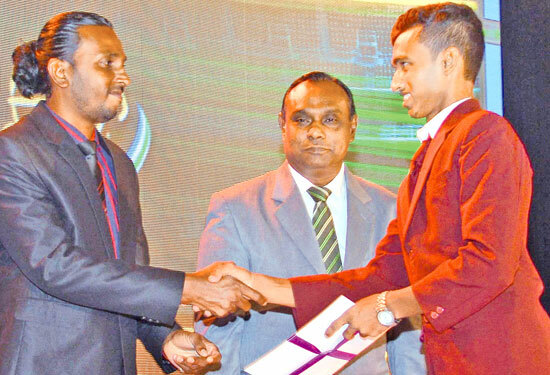 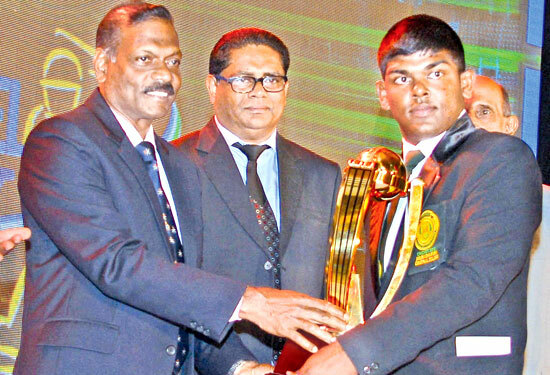 Pramodh Mauwantha of Isipathana College winner Best All- rounder Div. 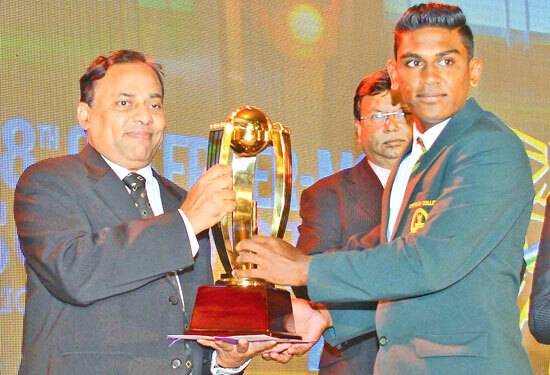 1 receiving his award from Waruna Mallawarachchi Deputy GM Advertising ANCL. 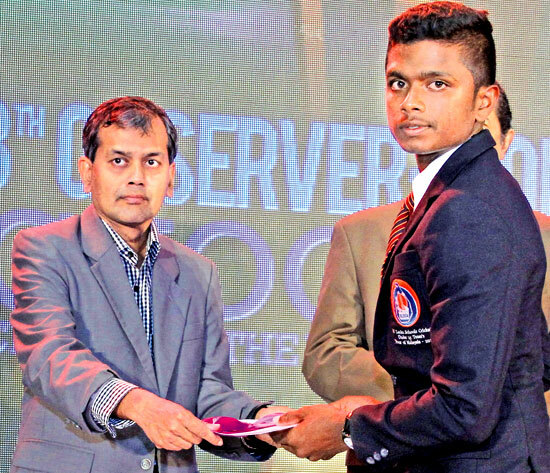 Division two category Most Popular - Third Runner up Lahiru Vimukthi ( Sri Sumangala, Panadura) receives his certificate from Sunday Observer Editor Lakshman Gunsekera. 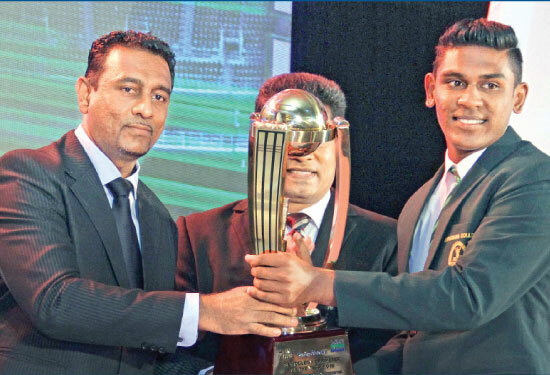 Best School Team Sabaragamuwa Province St.Mary’s College, Kegalle captain receiving the trophy from Virajith Bois DGM Finance ANCL. 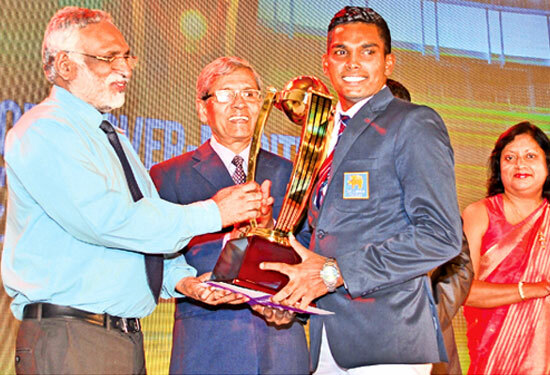 The captain of Bandarawela Central College, Best Team UVA Province receives the team award from ANCL Deputy General Manager Sales Lal Perera. 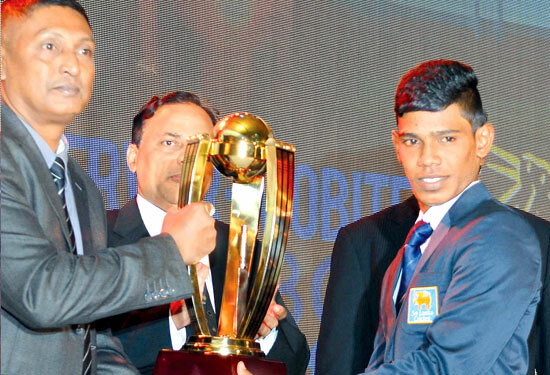 Deputy GM (Finance) Virajith Bois is also in ther picture. 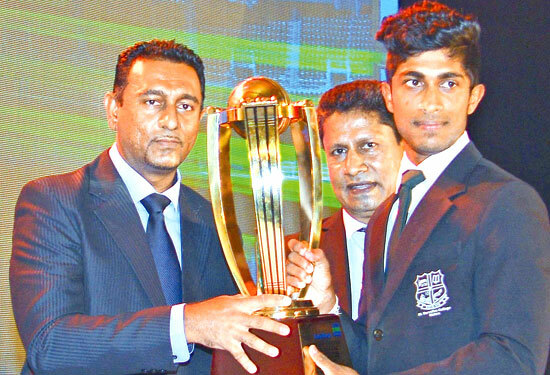 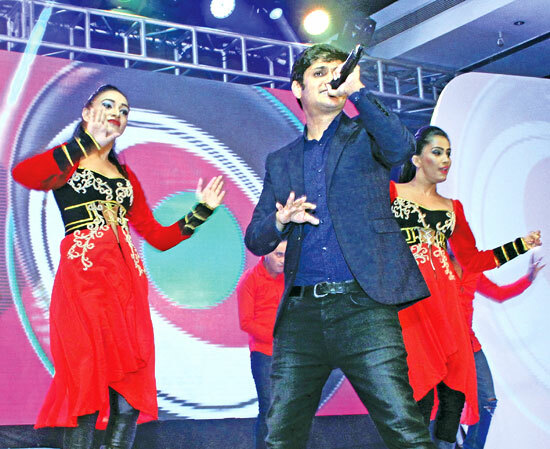 Chinthaka Kumarasinghe, Sulochana Gamage and Thilak Perera.